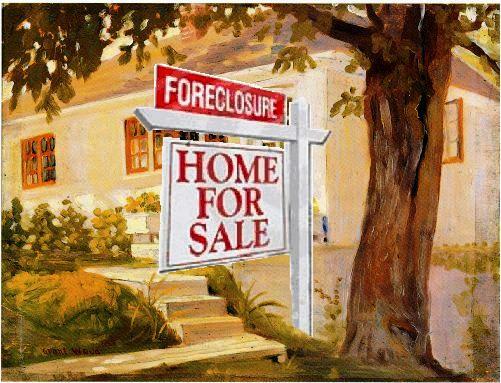 My Home has a Short Sale Offer; Can the Bank Still Foreclose? Making your way through the short sale process can be a long and tedious operation, but seeing the light at the end of the tunnel is incentive enough for most people to soldier on. How frustrating, then, to discover that your bank went ahead with foreclosure, even while you were negotiating (with the bank) for the sale of your home via short sale. It’s true: even if your home is in short sale negotiations and has a solid offer on the table, your lender can still move forward with the foreclosure process. Naturally, the big question here is: Why would they do that? After all, there is generally a lot less paperwork involved in a short sale vs a foreclosure, and the bank will likely make more money, too. Bonus: no court involvement. The short answer is that there are several reasons why this situation may present itself. Often, even if a lender approves a home for short sale, they still keep the foreclosure process moving forward in order to keep pressure on the seller. Sometimes, short sales repeatedly fall through, in which case the bank can simply say they’ve waited long enough, and – BAM – foreclosure. Another reason this happens in big banks is a lack of communication between its thousands of employees. Larger lenders have offices all around the country, with departments and sub-departments at each location. While it would seem like a good idea to keep communication lines open – the reality is that many times the short sale department doesn’t talk to the foreclosure department and your property can simply slip through the cracks. Many sellers hit the panic button when they receive news that their home has been foreclosed upon when they are so close to selling it via short sale. Luckily, as long as you are working with a competent attorney who is familiar with both short sales and foreclosures, your short sale will usually still be able to go through. Fact: Even if your lender officially forecloses on your home, it still needs to be sold to someone in order for them to make any money. Experienced listing agents and attorneys will be able to talk to the right branches of a large lending corporation in order to postpone the foreclosure sale date (aka Sheriff’s Sale). As long as they know you are in negotiations with a qualified buyer, most lenders will put off the Sheriff’s Sale long enough for the short sale to take place. The short sale process is one of the most complicated in all of real estate. It is more than likely that you will hit many bumps along your route to seeing your house sold through short sale, but for those who persist, it can happen. If your short sale end game looks significantly better than a foreclosure, the lesson you should heed is: “If at first you don’t succeed – try, try again.” – T.H. Palmer.